I hope y'all enjoyed some spring inspiration yesterday in our Simply Spring tour. Well, there is plenty more. Just click on the links below. I hope y'all have some spring ideas of your own and anything else to share at Wow Us Wednesdays tonight. Loved seeing your Spring decor so pretty. Love all the other Spring inspiration. This is really fun to see what everyone is doing. So nice to see some spring! And we are supposed to reach the 50's today! Hooray! Great inspiration today and yesterday too!!! In my opinion, Spring is one of the prettiest seasons to decorate for. 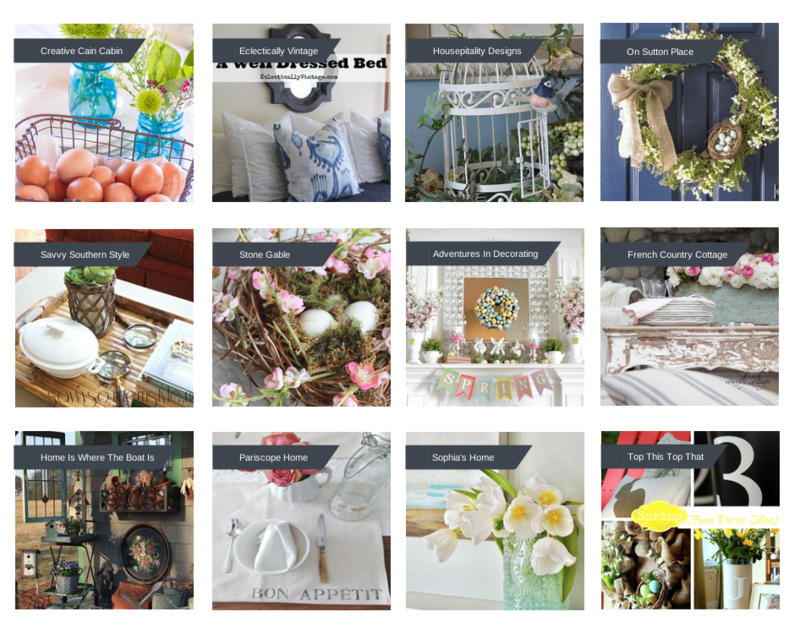 I loved seeing all this Spring inspiration. Thank you so much for featuring my spring wreath and thank you for the party, Kim!